Two years ago, you made the pro-active decision to put an ActiveGuard® Mattress Liner on your mattress or box spring so that you would not have a bed bug problem. Given all the traveling you have been doing, your concern over using public transportation and possibly your student-children returning from school, you adopted a cutting edge technology to prevent any uninvited guests. Well, two years have passed and you have not had any bed bug issues but it is now time to replace your Liner. Allergy Technologies LLC, the manufacturer of ActiveGuard® Mattress Liners, has evaluated Liners retrieved from hotel rooms after two years of use. Allergy Technologies chose to evaluate Liners used in hotels as they represented this highest use profile available. These used Liners were tested for potency and also challenged with bed bugs in the laboratory. While the Liners were at the end of their 2 year advertised life, they were still found to be effective in the control of bed bugs. 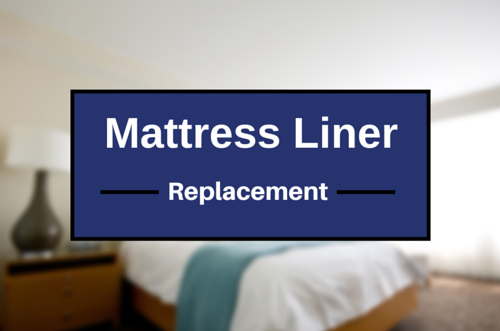 However, failure to replace the Liner will result in a false sense of protection as the Liner will begin to decline in effectiveness post 2 years of use, to the point where any newly arriving bed bugs may be able to gain a foothold and initiate the establishment of an infestation. According to the 2016 ‘State of the Industry’ report published in the trade journal Pest Management Professional, bed bugs are now appearing nationally in public libraries, hotels, buses and homes on a more regular basis. The expansion of bed bugs into more and more aspects of our lives emphasizes the continuous use of a preventive bed bug product; an ActiveGuard® Mattress Liner is a prime example of such a product! Replace the Liner after two years of installation. And don’t forget to make a note in your calendar of the replacement date!